Shortly after the Marines left Nicaragua in 1933 (see chapter five of the book), the head of the National Guard, Anastasio Somoza, assumed political control. The U.S. , which had placed Somoza in charge of the Guard, was annoyed but unwilling to overthrow him, and so he remained in power until he was assassinated in 1956, at which point his two sons, first Luis and then Anastasio II, took over. All three members of the dynasty relied heavily on the National Guard, which in essence served as their private army; the Guard in turn, and the regime more generally, were strongly backed by the United States, which sent considerable economic and military assistance (for ten years, Nicaragua was the largest per capita recipient of military aid). The Somozas, strongly anticommunist, were happy to be of service to the U.S. and let their country's territory be used for proxy interventions in Guatemala and Cuba (see chapters five and six). 1) Vaky in Special Coordination Committee meeting, 4 September 1978 (paraphrase by Pastor 2002: 67; more generally, chs. 4-9); Vaky before Senate Foreign Relations Committee, 13 September 1978); Pezzullo in meeting with Somoza, 27 June 1979; both quotes from Morley (1994: 131, 194; more generally, chs. 5-7); State to Pezzullo, 28 June 1979 (ProQuest 2005); Lake (1989). It is worth noting that when Somoza offered to resign on 27 June, the response from the U.S. ambassador was to ask him to put it off while the U.S. got “organized a bit” (Pastor 2002: 124); this “organization,” as we saw, involved several weeks of fruitless negotiations while fighting raged. 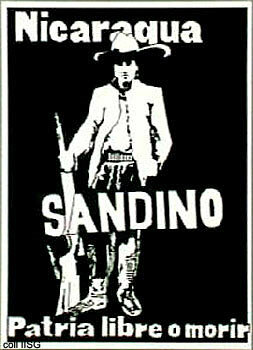 At one point, the ambassador even advised against a suspension of National Guard bombing on the grounds that this was “the only effective” means the Guard had for combating the Sandinistas (Pezzullo to State, 6 July 1979 [ProQuest 2005]).